At the beginning of his ministry, Jesus might be compared to a guru or a shaman, a wandering holy man who imparts bits of timeless wisdom, offers spiritual encouragement to the downtrodden, and does random acts of (magical) kindness. Blessed are the poor, he says, and then he cures a leper or casts out some troublesome demons, or calms a stormy lake. Not very master-of-the-universe, but appealing, even so. But then, as the story progresses, dark edges emerge. His truth claims become more exclusive and self-promoting; his parables include threats. He becomes suspicious, talking about enemies and demanding loyalty from his followers. He predicts his own death and then brings it on. At the time, I had recently read a story about Jim Jones who led 900 followers to mass suicide in Guyana in 1978. Some who had broken away (and so survived) discussed Jones’s early generosity and wisdom followed by years in which he became ever more righteous, controlling, and certain of his direct line to God. Wow, I thought. Was Jesus a paranoid schizophrenic? Only later would I learn that some antiquities scholars had another hypothesis for the dramatic difference between early and late Jesus: the stories came from two distinct bodies of literature; the book of Matthew literally merged two different characters. Later still, a retired Presbyterian minister and religion professor, Tony Nugent, introduced me to some of the ancient stories that he believes underlie the gospel accounts, stories that trace their roots back beyond the Hebrew religion and into more primeval traditions centered on the sun, stars and agricultural cycle. What does all of this mean about Jesus? With relentless advances in fields like archeology, linguistics, forensics, and pattern analysis, most scholars including mainline Christian theologians have come to agree that the Jesus stories in the Bible are woven through with legend. Over the last 200 years, more than a few have spent their lives working to excavate the “historical Jesus” behind the myths. As I have repeatedly noted, most scholars in both the United States and Europe over the past century have been convinced that Jesus is best understood as a Jewish apocalyptic preacher who anticipated that God was soon to intervene in history to overthrow the powers of evil now controlling this world in order to bring in a new order. . . . establishing a rule of peace and justice here on earth, sometime, Jesus thought, within his own generation. This summer, after interviewing author David Fitzgerald, (Nailed: Ten Christian Myths that Show Jesus Never Existed at All), I wrote a piece outlining the kinds of evidence and non-evidence that keep this debate alive. My inbox erupted. I haven’t had so many readers question my integrity or intelligence–or both—in years. Some critics claimed I had called Jesus a myth. (I hadn’t. In general I think it wise to defer to the opinion held by a majority of relevant experts, while bearing in mind that paradigm shifts do happen.) Several said I had taken a quote from Bart Ehrman out of context and used it as evidence for something he doesn’t believe. (I had, and I owe Ehrman a sincere apology.) Some compared both my article and Fitzgerald’s position (called mythicism) to creationism or climate denial. Ouch. I was advised, in no uncertain terms, that academic mythicists, aka real scholars who doubt that the gospel stories have historical roots, are about as hard to locate as Jesus himself. So when one of them reached out to me from Australia and offered a conversation, I said yes. I sent him some questions I was dying to ask—and then for good measure sent them to two other Jesus scholars who had made contact as well. 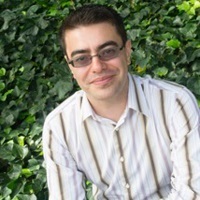 Raphael Lataster teaches in the department of Religious Studies and Philosophy at the University of Sydney. He wrote a Master’s thesis on Jesus ahistoricity theories, continues to publish on the topic in peer-reviewed journals, and is currently engaged in doctoral studies analyzing major arguments for the existence of a deity. Lataster says he is respectful towards and fascinated by religion, especially traditions that focus more on right living than right belief. When it comes to his own hypotheses about reality—well, his book title minces no words: There was No Jesus, There is No God. 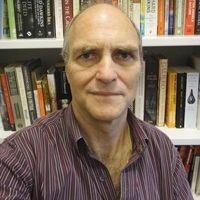 Neil Godfrey runs the website Vridar which includes a repository of articles and debates about Jesus including a “who’s who” of mythicists and Jesus agnostics, meaning those who argue that our sources are too poor to answer the question. Godfrey is most interested in understanding the Gospels and Epistles as products of the literary and philosophical contexts of their authors. He finds those explanations entirely adequate without seeing any need to add a historical Jesus to the mix. 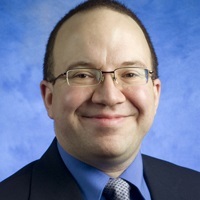 James McGrath teaches New Testament studies at Butler University in Indianapolis. McGrath is equally scornful of mythicists and biblical literalists. He blogs about religion, the Bible, science fiction, evolution, and more at Exploring Our Matrix, where his scorching critique of my first article on this topic caught my eye. His books include John’s Apologetic Christology, The Only True God, and (for a more popular audience) The Burial of Jesus. In the q & a series that follows, Lataster, Godfrey, and McGrath discuss how they approach questions about the historical Jesus and the conclusions they draw from their research. Tarico to Lataster: From everything I hear, you are the proverbial unicorn; the academic who thinks that there was no historical Jesus. Lataster: Indeed. Of course, every position/scientific breakthrough/religion was originally held/believed by an extremely small minority. The truth is not a democracy. It doesn’t care about what we think, or feel. It is what it is. Tarico: Historian R. Joseph Hoffman has said that historical argumentation is “probabilistic (in the sense of following the ‘law of likelihood’).” What does that mean? Godfrey: Much of the ancient history I learned in high school — about the Hittites, the spread of Indo-European languages, the Amorite invasions — is now known to be wrong. To be open to new evidence and insights, historians had to treat their current knowledge as tentative or “probable.” What we have is still very incomplete, so we can only make judgments about what seem from today’s perspective to be the most probable scenarios. The best approaches to history oblige us to think carefully about all sides of the question and the nature of our evidence. What is our hypothesis? What evidence do we have for our hypothesis? What is the likelihood (or probability) that we would have this evidence if our hypothesis were false? How about the likelihood that we would have this evidence if our hypothesis were true? Some Jesus scholars use a mathematical model, Bayes’ theorem, to lay out these probabilities. It stops the historian from carelessly saying “Augustus sent out a decree so that a census should be taken of the entire world” and compels him or her to say instead “We have one document, a Gospel of unknown authorship from late first or early second century, that says Augustus sent out a world-wide decree for a census.” That might sound like a pretty obvious way to work, but when it comes to New Testament scholarship it is surprising how many scholars talk about “the fact” of, say, the empty tomb instead of the real fact of the “gospel narratives of the empty tomb”. Tarico: I’ve run across several terms that describe how historians approach ancient texts: “The historical-critical method”, “source criticism”, “textual criticism” and “social scientific criticism.” Can you give me a window into how these methods work? Historical criticism covers a range of scholarly tools applied in a systematic way to a historical question. At its most basic level, it means drawing conclusions about the past based on the evidence we have available. We do not have access to the past directly. We can only piece together the evidence into a coherent and plausible and hopefully probable reconstruction of what happened. Textual criticism starts early. Before one can apply other methods to ancient sources, one needs to establish, as close as possible, the original form and date of a text. In very few instances do we have the original manuscript. Usually we have copies and, by dating and comparing those copies, we can get a sense of what the original looked like. That’s the work of textual criticism. Social-scientific criticism means using methods such as ones derived from sociology or cultural anthropology—using comparative studies of the dynamics of sect formation, for instance, or studies of the cultural values of modern Mediterranean societies, to provide new insights into ancient texts from that part of the world. Source criticism attempts to identify sources that have been used by an author. In some cases we have the source in question – as when the author of the Gospel of Matthew used the Gospel of Mark. In other cases, based on differences in style and vocabulary, awkward breaks, contradictions, and other such features in a piece of literature, scholars may deduce that an author probably used an earlier source. Tarico: It seems like a key difference between scholars who feel confident that Jesus was a real person and those who are more doubtful is that they approach the question from different angles or place more or less value on different kinds of information. Mythicists like Thomas Brodie and Robert M. Price focus on the wider Jewish and Greco-Roman literary world and believe many of the New Testament stories are adaptations of stories found in other literature. Their arguments often address the New Testament epistles, because it is generally accepted that most of the epistles were written before the Gospels. They see a lot in common between Paul’s Christ and the writings of Jewish and Hellenistic literature known in his day, including notions of a heavenly mediator figure or Logos as well as evolutionary development of messianic concepts in various Jewish writings. Historicists on the other hand generally work within a model of Christianity that paraphrases the Gospels and Acts: Christianity started in Palestine with a few lowly followers of Jesus who became convinced that their leader was somehow still with them and victorious over death, and who then persuaded first many Jews then growing numbers of gentiles to join them. They believe the narratives derive from oral tradition traceable back to Jesus, and that Christianity could only have started with a historical Jesus. No other explanation makes sense to them. Lataster: I have just published an article on this and am working on a bigger project, arguing just that. One of the oddities about mainstream historical Jesus scholarship is the heavy reliance on sources that do not exist. Tarico: This probably deserves a book-length essay, but in a paragraph or two, how would you describe the backbone of your own approach? What are the key questions? Lataster: I am a big fan of probabilistic reasoning, particularly ‘Bayesian Reasoning’. Various hypotheses should be judged according to how well they explain the evidence we have, and their inherent plausibilities. By its very nature, history is uncertain. We can only try and figure out what probably happened, and we should only speak of probabilities between (and NOT including) 0% and 100%. One key question is, how reliable are the sources? Mainstream historicists place much weight on ‘hypothetical sources’ that we don’t have access to and may not have existed at all. This is their solution to the highly questionable sources we do have access to. How do you establish the author, date, intent, reliability, content, etc., of non-extant sources, when we even struggle to do this with the extant sources? They discount sources like the Gospels when evaluating the Christ of Faith, yet, lean heavily on the same sources when we shift the discussion to the Historical Jesus. Another important question concerns the differences between Pauline Christianity and that of the Gospels. Paul is our earliest Christian author, has no encounters with an earthly, historical Jesus, never references him, and claims to get his information from God. Much of what is found in his epistle (and others) coheres very well with Earl Doherty’s minimal mythicist view; that the belief in Jesus initially was the belief in a purely celestial (and not earthly) being. Godfrey: The backbone to my approach is to set aside the question of Jesus’ historicity altogether and ask what best accounts for the nature and origin of the Gospels and Acts. I study these the way classicists study any other ancient literature. What does both the internal and external evidence tell us about their origins and why they were written in the way they were? What is their relationship with other literature of the era? Another very important question is assigning dates. New Testament scholars generally try to date the Gospels as early as possible, but if we employ the methods normally used by ancient historians and classicists — a combination of external testimony and internal evidence — we must accept possibilities ranging from 70 to 140 CE. So, then we must ask, what external events provide the most likely background to the author, given the sorts of details we find in the narratives? Do they appear to have been written in a time of persecution? If so, what historical periods can we identify for that? McGrath: I actually discuss some of the key elements of historical study in my book The Burial of Jesus, which is aimed at helping religious believers understand and wrestle with the consequences of historical study. The backbone of my approach is mainstream historical study as it has been developed and practiced over the past half a century or more. Some mythicists suggest that scholarly opposition to mythicism is motivated by faith or unexamined Christian assumptions, but the work of mainstream historical scholars has been more profoundly unsettling to what I once believed about Jesus than anything mythicists have come up with. To understand why so many scholars believe our stories about Jesus have a historical kernel, one must understand the expectations within Judaism regarding an anointed one (or “messiah”) descended from David. There was significant diversity around the time Christianity emerged, but the expectation was that the Davidic dynasty would return to the throne. To claim that someone was that awaited dynasty-restorer, and yet that they had been crucified, was essentially an oxymoron. And yet that is what people like Paul were proclaiming. It is not impossible that someone simply invented this claim. Few things are impossible. But it is for good reason that historians find it more likely that we are dealing with an actual person named Joshua whose followers thought he was the awaited Davidic messiah, and who found a way to deal with the cognitive dissonance of his crucifixion. Tarico: I come at this as a psychologist, not a classics scholar, and one lens that psychology brings to this debate is the knowledge that humans are highly prone to historicizing otherwise vague stories. Psychological processes in which this happens include confabulation (when alcohol-addled brains invent histories to fill gaps) and false memory syndrome, in which an expert asking leading questions unintentionally prompts a person to create memories which become more detailed and solid over time. In split brain research, a message can be sent to the right side of the brain, for example, Go get a diet coke. When the person stands up and the left side of the brain is asked why, it provides a perfectly coherent story. To my mind, in other words, psychological and social mechanisms exist that could make historicized mythology feasible. But the fact that something is “feasible” doesn’t mean it’s what happened. We also are highly prone to mythologizing history. Godfrey: Many people cannot imagine Christian origins apart from the general outline of the Gospels and Acts. So we have apologists demanding, “How do you explain the empty tomb!” But all we really have is a story: Jesus was resurrected; the guards fled or fainted in fear; eyewitnesses. Of course within the story itself there is no explanation for the empty tomb apart from the resurrection. That’s what stories do. Red Riding Hood’s grandmother really was devoured by a wolf; how else can we explain Red Riding Hood thinking the wolf was her grandmother? One does not need a conspiracy to explain the invention of a literary character like Jesus. The first gospel is highly symbolic. Jesus is a mouthpiece for cryptic and wise sayings and does things in the physical world that become metaphors for spiritual realities among readers. The stories of Jesus appear relatively late in the history of Christianity, and when they do appear they look remarkably like adaptations of older stories about Isaac, Joseph, Moses, David, Elijah, Jeremiah and others. that a heavenly mediator or Logos figure existed in heaven similar to the one we read about in the Gospel of John and the New Testament epistles. So the raw material from which Christianity emerged was in existence well before the fateful year of the destruction of the Jewish nation in 70 CE. From that moment on it is quite plausible to imagine many Jews forging or salvaging a new identity from the old by believing in a successor to Moses, a new Joshua or Jesus whose Temple was in heaven. 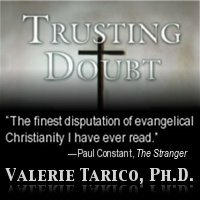 Tarico: If you’re going to doubt that Jesus existed, wouldn’t you also have to question the existence of say Socrates, Caesar, or Alexander the Great? If not, why not? Lataster: I am happy to question Caesar’s existence. Some question the existence of Laozi, and it doesn’t bother me one bit, despite being a fan of the Daodejing’s teachings. But while doubting the likes of Caesar does nothing to my worldview, it is not so reasonable. We lack primary sources for Jesus (and Laozi), but we have plenty for Caesar. Claims about Caesar also tend to be more analogous with how we understand the world to work. And while the rise of Christianity is readily explained even if Jesus didn’t exist, it is harder to establish much of Roman history without Caesar. Godfrey: For some historical figures like Augustus Caesar we have the testimony of coins, inscriptions and monuments that can reasonably be established from his time, what we can call primary evidence. We also have written records whose contents are at least in part independently supported by some of this primary evidence; these records are very often written by persons whom we know – meaning we know their interests, educational level, familiarity with the material they write about, and access to contemporary sources — and they write in a genre that further testifies to an interest in conveying factual information. And on top of all this we have the explanatory power of Augustus Caesar to explain the change of course in Roman history. So for all these reasons we can say the existence of Augustus Caesar is very highly probable. As we move down the scale where all these kinds of evidence become scarcer or even non-existent, or where we can see no clear link between later narratives about a person and sources contemporary with that person, then our confidence in the probability of any person must decline. McGrath: There’s no harm in making comparisons, but when it comes to influential figures – leaders of nations for instance – we should expect the evidence to be greater than for an individual who was not wealthy, minted no coins, and as far as we know may not have been literate. Not all figures leave behind the same kinds of tangible evidence. Tarico: In civil and criminal law, questions get decided on three well-defined standards of proof: “preponderance of evidence,” “clear and convincing evidence” and “beyond a reasonable doubt.” Is there a similar standard of proof in the quest for the historical Jesus? What level of doubt makes one a mythicist or a historicist? Godfrey: The law-court is a good analogy that can bring us to the heart of what the debate is really all about. Legal argument is about evidence and testimony. Lawyers do not argue over the whether or not a murder had been committed solely on the strength of an old diary. There must be independent witnesses and evidence. Just a collection of papers is not enough. Imagine a prosecutor telling the judge: Your Honour, these papers clearly tell us that one Jesus ben Joseph was cruelly done to death. Judge: And where did you find these papers? Who wrote them? When were they written? What other evidence do you have to assure us they are reporting facts? Where is there any testimony independent of these papers? McGrath: I would say that doubt about the historicity of Jesus is not what makes one a mythicist. In the case of ancient history, the appropriate standard is (in my opinion) “more probable than not” rather than “beyond reasonable doubt.” But be that as it may, it is not doubt about the historicity of Jesus, but insistence that Jesus is unlikely to have been historical—and that his first devotees thought he was a celestial deity rather than a terrestrial human—that deserves to be called “mythicism.” It is important to distinguish that view from the uncertainty mainstream scholars may feel about whether we can discern anything more than a few basic facts through the veil of legend, myth, and dogma that shrouds the origins of Christianity from our view. Tarico: After I wrote my brief and admittedly casual article about the Jesus question last summer and got such a reaction, I found myself thinking about that old saying, “Fools rush in where angels fear to tread.” Why are scholars on all sides of this issue so heated? McGrath: I think the reason that mainstream scholars react so vehemently to mythicism, even when they are not concerned in any sense to defend the Christian faith, is because of what mythicism represents in terms of scholarship. The study of ancient textual evidence isn’t ever going to offer the same degree of certainty that can be obtained in the natural sciences. However, mythicism is a view which only a small number of academics argue for, and which most professionals in Christian, Jewish, and Roman history find unpersuasive. And yet it is being promoted to the public. We might turn out to be wrong. But the way to demonstrate that is by making a scholarly case and persuading us. There are lots of fringe views in the academy, and indeed, part of being an academic is trying to come up with something new. Most of us will be wrong most of the time in those unconventional ideas and new proposals. That’s part and parcel of the scholarly endeavor. And so, versions of mythicism popular online probably need to be distinguished from what scholars like Thomas Brodie and Robert Price do. I find them unpersuasive, as do most people in our fields. But they approach this topic in the appropriate scholarly manner, making a case and seeking to persuade their peers. That’s the way to go about settling a matter of scholarly inquiry, whatever the question happens to be. Tarico: Today, almost half of American adults believe that the Bible is the literally perfect word of God. In fact, by way of circular evidence, many quote the Bible itself to prove this: “All Scripture is God-breathed and is useful for teaching, for reproof, for correction, and for training in righteousness” (2 Timothy 3:16). But claiming that a collection of Iron Age texts is the timeless word of God shackles people to a set of Iron Age priorities. To me what’s important about this debate, what’s game changing for ordinary people and possibly our society as a whole is recognizing that the Jesus stories in the Bible are woven through with myth from earlier times and legends that probably developed in the first two centuries of Christian history. You all seem to agree on this, that the evidence some parts are literature, mythology and legend is much stronger than the evidence some parts are history. So on this question of which was the kernel, a sacred literary tradition or a Yeshua ben Yoseph, does it matter, in the end, which of you is right? Lataster: You have hit the nail on the head! The far more relevant issue is whether the claims about the Christ of Faith or biblical Jesus are true. I call the discussion over the historical Jesus, a debate among atheists; it is an interesting historical question, no more. If we want to highlight the dangers of religious exclusivism (and I do), then let’s focus on God and the biblical Jesus. Godfrey: There are many far more important causes and questions in the world. That said, Christianity and the Bible have had a major impact on my life and the lives of others so I find it natural to want to understand how it all began. I have had the benefit of a good education and opportunity to learn much about scholarly research into Christianity and the Bible, I like sharing what I find there with others who might find it of interest. Tarico: As I’ve gotten older, I think of Jesus more and more as an ink blot—an ambiguous shape onto which people project their own fears and desires. In response to my first article on this topic, a dear activist friend wrote, “I hope that you’re out there showing that if Jesus did exist, which is definitely up for grabs, that he was a radical revolutionary Jew who felt we should address the gap between rich and poor above all else.” She was joking, but also not. We all hope that our deepest values and acts of service are aligned with something greater, and a Jesus who shared those values is a powerful, enduring symbol that our lives have meaning. My friend understands the Jesus she seeks to be a matter of hope, not history. The power of her Jesus comes not from whatever tentative facts scholars can glimpse in the fog of history, but from yearnings of the human spirit that are as relevant today as they were in the Ancient Near East. Perhaps humanity’s centuries of desperately seeking Jesus are best thought of as a quest to find and define ourselves. Perhaps that is enough. A slightly abridged version of this article appears in the January/February 2015 issue of The Humanist. Gallery | This entry was posted in Musings & Rants: Christianity and tagged historical Jesus, Jesus agnostic, Jesus mythicism. Bookmark the permalink. I can just envision him, chuckling all Christmas day, as the angry Tweets flowed in. Thanks for bringing together these 3 scholars for the discussion. Much appreciated. Since I’m not a biblical scholar (just a retired literature teacher who loves to look under all kinds of textural “rocks”), I will only throw in one question for scholars: If Jesus didn’t exist at all, why did unnamed Christians create the story of Jesus going out to the Jordan to be baptized by John for repentance of sins? I realize that various Christians have come up with complicated answers to this, but in my opinion the story does stand out like a fossil. If a religious group is going to create a totally fictional character, and “a purely celestial being,” why would they create their messianic hero to start his movement by going to be immersed, repenting of sins like many others of his background? A better question might be why would the allegedly only sinless human/god who ever lived, have need of baptism for the absolution of sin? Exactly. That is why the mythicist idea that Jesus was a totally fictional “celestial being” from the start seems implausible. It’s more likely that Jesus was an actual historical figure originally, who later was divinized by Christians into the second person of the Godhead. Obviously, the second person of the Godhead, or a fictional “celestial being,” wouldn’t need to go to John the Dipper to be immersed in repentance. I’ve always thought of him as John the Dunker, but I suppose Dipper works just as well. That is explained in the very scriptures being analyzed here – Jesus went through these initiations to “fulfill the scriptures” or “what was written” he would be, and would do – that simple. He was (in the tale, story, myth, whatever is being discussed here) the son of god made man. He was both, god and man and as man, even if “sinless” he had to go through rituals of purification, circumcision as a Jew, and baptism (though not sure where that tradition comes from or if John the Baptist invented it). Just making the point here that when analyzing a fairy tale, one should stay within the confines of the tale and discuss the characters within their character roles otherwise all discussions become ridiculous. “Jesus went through these initiations to “fulfill the scriptures” or “what was written” he would be, and would do – that simple. – That seems fair, considering it was that scripture that was used to invent him. Is that what they call the ‘circle of life’? 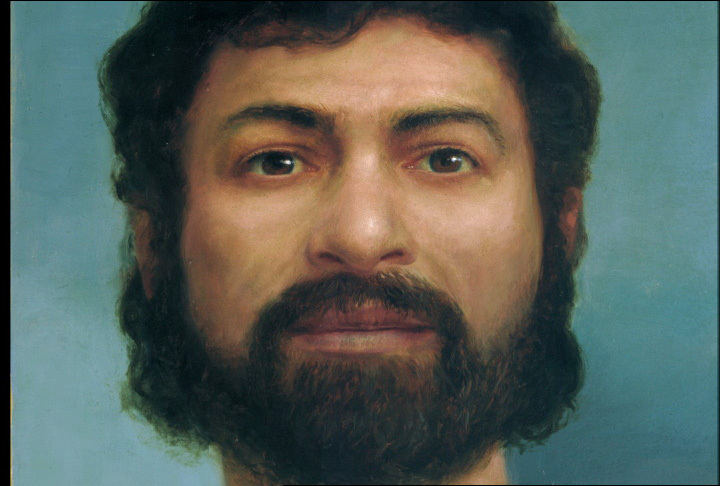 “He was (in the tale, story, myth, whatever is being discussed here) the son of god made man. – or “man-made god,” depending on your point of view. As I indicated in my reply to Daniel Wilcox, the embarrassment over Jesus’ baptism comes only with gospels that are generally recognized as composed later than Mark’s. Mark shows no embarrassment over the baptism of Jesus. His Gospel appears to portray Jesus as a normal mortal until he emerges from the waters and is possessed by the Spirit and then declared to be God’s Son. But even apart from this interpretation, the prophetic and other symbolic motifs of the scene inform us that the entire episode represents the emergence of the “New Covenant” of Jesus out of the waters of the Old, represented by the prophet Elijah and as prophesied of old. Only subsequent evangelists indicate their embarrassment at Mark’s portrayal so they re-write his scene: Matthew has John protest, Luke only indirectly refers to the baptism in hindsight and John removes the episode entirely. Had the author of the earliest gospel had any similar sense of embarrassment we could expect him to have avoided the scene also, or else have portrayed it quite differently. The earliest account of Jesus’ baptism is generally believed to be found in the Gospel of Mark. This gospel portrays Jesus as being adopted by God as His Son after emerging from the waters of baptism by the descent of the Spirit. That Spirit makes Jesus God’s son, possesses him, drives him into the wilderness, and appears to leave Jesus at the cross with the same sort of loud cry unclean spirits shouted as Jesus had once cast them out of others. Subsequent evangelists indicate an embarrassed attempt to cover up this “adoptionist” christology and recreate Jesus as divine from birth. Hence Matthew’s gospel has John protest that Jesus does not need to be baptized; Luke only indirectly references the baptism and John avoids it altogether. Not all scholars accept this adoptionist view of the Gospel of Mark but there are many additional reasons to doubt the historicity of the baptism. The narrative of the baptism is collaged from verses and motifs from the Old Testament writings. The scene is crafted, along with the 40 days in the wilderness, as emblematic of the Exodus story and Elijah’s works. Once we strip away all the theological and literary layers there is nothing else left. Most significantly, Jesus is presented as the one who emerges out of the Old Covenant (Elijah) as the subject of the opening prophetic proclamation. This motif is found in the earliest Christian art work where Jesus is shown as a young boy and John as an old man: the new from the old. The baptism through the creative waters of the Old Testament is a theological metaphor with no need for historicity to augment its significance. New Israel’s and new creations/peoples of God are always worked through waters of chaos, from Creation, the Flood, Exodus, Joshua at the Jordan, Elijah and the Elishah. Jesus transvalues these — not mere waters part, but the very heavens themselves. Other scholarly studies have found reason to believe the entire gospel of Mark was a manual for neophytes about to be baptized into a new life. Excellent response, Neil – RE: “there are many additional reasons to doubt the historicity of the baptism.” – when it comes to doubting historicity, it should be remembered that the smallest hole deflates an entire balloon. There are a number of good comments prior in time to mine here. But I’ll reply to your original intro of the John the Bapt. issue, Daniel. It is a point that has more in it than first meets the eye (or mind). I’ve had a back-and-forth discussion with blogger and PhD student, Brian Leport, on John and Jesus on my blog (and his). We have had a lengthy break, prompted by the AAR/SBL convention but hope to return to it. Sleuthing around “The Baptist” issue holds some real insights. For one, Josephus’ comments re. John, centered on his arrest and execution mainly, help validate John’s historicity and practice of baptism around the Jordan… also at least its potential revolutionary nature (politically), if not the actual fact… Similarly with Jesus. And Josephus’ comments on John are much longer than those on Jesus, EVEN if one takes the entire passage on Jesus as original (which almost no scholars do). Per Jo, John’s mission was notably different than what the Gospels generally portray: No mention of him introducing or “making straight the way” for Jesus, and then “decreasing” so Jesus would “increase”…. he only “decreased” because Herod Antipas executed him. I’m no scholar but I too found that passage very confusing, and puzzling. Frankly, it makes no sense at all. Fortunately (or unfortunately depending on which side of the issue one stands) that is but one of many puzzling bits of information in the biblical works. For example, the Genesis creation story of chapter 1 to chapter 2 verse 3, versus the following Edenic sit-com. The contradicting stories of the life and acts of David before he became king. The visions of space ships by Ezekiel (which I thoroughly enjoy and consider to be perhaps the most credible passage in the entire scriptures!) But for a divinely inspired work, the Bible is a complete mess. I wouldn’t have God’s Holy Spirit as my biographer, I’ll say that. If I were his publisher I’d make him re-write the whole shooting match and put in a lot more science fiction, and develop the fantasy to we can read it as it is meant to be – like, say, The Silmarillion (by J. R. R. Tolkien) which, as a creation and salvation story trumps the Bible at every page. Thanks Harold. Your points would seem to cast doubt on the claim of mythicists, that a Jewish group created a fictional character named Jesus who was according to them a “celestial” being. If such a group had created such a mythical supernatural character, it would seem to serve no purpose for them to have this “celestial” being come to earth and go to the River Jordan to be baptized for his sins by John. It seems more plausible, that a human Jewish craftsman named Jesus went to the Jordan along with many others to be baptized by John the Dunker. Then later followers of Jesus tried to understand this occurrence and interpreted in it various ways. That’s at least how I see it as a literature teacher. Here’s a thought: when reading what Jesus is reported to have said, try replacing the expressions “my kingdom”, “kingdom of Heaven” and “my Father’s house” with the words “my dimension” or “my Father’s dimension”. Also replace any use of the word “world” with “dimension”. 1. I doubt whether the people of the time could comprehend any “dimensions” other than the usual Length, Width and Height. So “Kingdom”, “World” and “House” would be simple understandable substitutes, no? 2. Science is on the verge of accepting the existence of other dimensions as fact, is it not? The only other dimensions so far conceived (dimensions that theorists find necessary for String Theory to work) are by necessity so coiled up that we cannot perceive of more than the familiar three plus time. “I do not think that means we can move between them, like between rooms – – Then how do the religious maintain that celestial beings get here from there, and we to there at the “resurrection”? “That’s like saying ‘I come here from length.’” – Although we don’t ordinarily use those exact terms, isn’t that basically exactly what we’re saying when we add one additional dimension and provide coordinates? At the rate Science is advancing, someday we may all be walking on water, healing with a touch and resurrecting ourselves as well as giving mountains their marching orders, just like The Man said. Yep. That’s the point of the article alrighty. So you’re going with the Arthur C. Clarke contention that, “Any technology, sufficiently advanced, is indistinguishable from magic“? Good close! However (there’s always an “however in this sort of discussion) that close is not enough. Perhaps man’s desperate quest for a real Jesus is because s/he does not know where to look to find the genuine article: within one’s mind. This is where the buck not only stops, but actually is printed. Whether historical or symbolic, Jesus presents a fascinating example of higher-minded humanity; a very attractive example for me. But his insistence on worship of Yahweh destroys that image. So what do I do, if I like what Jesus taught and also realize that by worshipping the “demonic” Yahweh I would end up, not a compassionate self-empowered human, but a miserable addict of some religion? I search for Jesus the Teacher in my own mind and just as you break an egg in two and use the shell to separate yolk from white, I separate the worship from the compassionate teaching, choosing always the latter. That is an endless utterly fascinating task. Thanks Valerie for pushing the envelope and making us look deeper. Peter knew Jesus very well. So, how realistic would it be for Paul to make no inquiries from Peter about Jesus? Wouldn’t Paul have practically interrogated Pater for every detail possible, no matter how slight? First Corinthians 15:3-5 The Messiah died for our sins according to the Scriptures, he was buried, he was raised on the third day according to the Scriptures – and is still alive – and he was seen by Cephas, and then by the twelve disciples. Galatians 1:18 Then after three years I went up to Jerusalem to visit Cephas and get information from him, and I stayed with him fifteen days. But I saw none of the other apostles except James the Lord’s brother. Galatians 2:7 On the contrary, they saw that I had been entrusted with the task of preaching the gospel to the Gentiles, just as Peter had been to the Jews. Galatians 2:11 When Peter came to Antioch, I opposed him to his face, because he was clearly in the wrong. Seriously? That’s all? After 15 days? And yet Paul supposedly would have known Jesus was a real person? Not buying it. Jesus is a myth. The argument is not popular but a few have from time to time raised their suspicions that the account of Paul’s amicable visit with Peter and his affirmation that they were in total agreement was in fact inserted by a proto-orthodox editor as part of a wider ecumenical attempt to bring various church divisions into the one corporate body. One of the most recent of these, Roger Parvus, has been publishing his arguments for this sort of interpolation on my blog. It doesn’t seem that any of this has really gone any further than Renan or Strauss from the last century and some version of esoteric Gnosticism for those that see Jesus as a teacher. Oddly enough, academics of the bent of those above never seem to take on directly the theology of the first seven or eight centuries of the Church. This would require a close reading of the Cappadocian Fathers, Athanasius, Maximus the Confessor, Symeon the New Theologian, and a handful of others. It would also require a serious consideration of monastic practice and writing as contained in the Philokalia or St. Isaac the Syrian’s Ascetical Homilies. In other words, it would require an understanding of how the reality of Jesus was manifested in the lives and thinking of those that informed the tradition. Admittedly, some of these academics usually get around to criticizing Ireneaus but they seldom detail the magica sexualis that informed Gnostic esoterica and practices — though a collection of essays edited by Jeffrey Kripal begins to shed light on this. The Orthodox understanding of the divine conception means Jesus isn’t conceived through the fallen or more earthly passions of sexuality. There is no room here for Kundalini / Tantric like sexuality. Is it then really a mystery as to why Gnosticism was rejected? Trying to answer the question of who Jesus was / is by running end-round the theology of central figures is a bit like attacking a philosopher by pointing out his personal failures in life: it doesn’t engage what is being said but seeks to falsify it through some sort of external criteria assumed to be more essential than the substance of the confession / philosophy itself. Great interview, Valerie. Thank you for doing it. As I worked my way out of Catholicism into atheism, then into evangelical Christianity and out its front door, I came to see that the whole point of examining Jesus was not his historicity or lack thereof, but his fascinating impossible demands to those who would be his disciples. However much I continue to be attracted to teachings such as those found in the sermon on the mount, I consider myself a failed Christian: I cannot live those commandments, not in my present state of understanding and power. But discussing Jesus as a historical figure is no different than discussing Superman as a historical figure. I think that those who denigrate Jesus do so in the (subconscious?) hope that by destroying the messenger, they destroy the message. This is the game where we certainly should keep our eye on the ball, not on the sidelines or the spectators. I do not believe in god or Jesus or hold to any other kind of “faith” in super beings, but I am still holding on to that message of compassion that calls me to change my very nature; to change the way I perceive the world and the way I react to it. The message is there, with or without a historic Jesus and without any god either. That is the real “Logos” or Word. I think that “faith” is actually a hindrance to apprehending the Logos. We have a mind, why not use it? That certainly sounds like a winding path you’ve taken, shatara! I wanted to suggest that you continue the concluding theme of this fascinating article. Politically, it is the most potent because it defuses religion’s impact on politics. If I say, “Christ wants you to keep your money because you earned it”, instead of quoting alternative biblical texts, isn’t it more powerful to say, “sure, Jesus said a lot of things, and all you are doing is showing us what YOU believe by choosing that statement over others. You want it because you want it, not because Jesus Christ said it was OK.” What is that person going to say? At the risk of seeming combative, I rather fear that you have repeated some of the mistakes of your first piece. (and I have noticed that others have also raised this point in McGrath’s blog). Last time you felt you had the freedom to refer to Fitzgerald (whose book very easily shows he has no training or extensive knowledge of ancient history of early Christian studies) wrongly as a “scholar”, and I think again you show a rather loose, in fact misleading, propensity to use this title for people who- in some cases- are mere amateurs. – Raphael Lataster only has a Masters in the subject (!) and is now doing something on the philosophy of religion. He does not “teach” in the department, but only as a tutor- as pretty much every PhD student does. I do the same at my University (where I am a PhD student) but would never ever claim that I am an employed teacher there. How seriously would you imagine people would take someone who has only done a masters in biology (and then switches to, I dont’ know, climate change science or something) and self-publishes a book claiming to show evolution never happened and the entire field is wrong. Not only that but the book, and his distillation of its argument, is so filled with errors or misunderstanding that it would fail a first year undergraduate course ( so see http://www.abc.net.au/religion/articles/2014/12/24/4154120.htm) – and believe me Professor Dickson pulled back in his critique. Would this person be taken seriously? Would they be called “scholar”, would you given them the oxygen of media attention? – Neil Godfrey is a librarian blogger with no peer-reviewed publications. It boggles the mind that you would even think to refer to him as a scholar. There is very little to say here. I just find this incredulous, in fact baffling. The fact remains: can you find one academic who thinks Jesus did not exist to interview? Last time you issued a completely misleading article that claimed that increasingly scholars questioned the historical Jesus- when they are not. Some academics tried to sort out the mess you caused, but the damage was done when it was unfortunately shared all over facebook and twitter. The main representative you used was a amateur atheist activist (and whose book shows he cannot even understand ancient Greek by the way!!!). By academic I mean someone who teaches at a secular University? So far you have highlighted someone whose only qualifications is a master’s and a self-published book (Lataser), a blogger librarian (Godfrey), and a atheist activist who has no comprehension of ancient history (Fitzgerald). There are probably around 15,000 people currently alive who have a PhD in ancient history, classics, or N.T. history- the fact that you are struggling to find this section of scholarship that you felt you could announcement via the media a few months are now questioning the historicity of Jesus, should perhaps tell you something. Credentials can indicate knowledge, but the two are not the same, and I don’t think that someone has to hold a Ph.D. or professorship to be called a scholar. That said, I agree that much specialized knowledge can be acquired only through in-depth study and that a superficial treatment of a complex subject can lead to conclusions that are patently false. To the extent that there exist valid methods for deciphering complex realities–methods that have predictive validity, external validity, falsifiability, etc.–credentialing and status in the academy provide useful indicators of expertise. Or perhaps better said, credentialing and status in the academy provide useful indicators of whether “expertise” has real world relevance.The hallmark of this is the hard sciences. To the extent that measures of validity are not available, academics sometimes create a culture of convention that may have very little to do with external realities. The most extreme example of this is theology, which I perceive as an exercise akin to mapping the landscape of Middle Earth. But I would say the same thing about much literary criticism, for example. Academic conventions can create convergence and the illusion of knowledge even when evidence exists to show this knowledge false. The fields of economics and psychology both contain wide tracts of thought in which academics have generated “just so” stories without recognizing that they were doing so. By “just so” stories, I mean intricate, systematic and seemingly scientific methods for analyzing information and reaching hypotheses that turn out to have no basis in reality. Antiquities scholarship broadly and the quest for the historical Jesus specifically lie somewhere on a continuum between hard science and theology. As an outsider, they appear to be junctures at which there is limited evidence and a lot of convention and conjecture. In the case of Jesus studies, both the existing evidence and scholarly conventions have been shaped by a long legacy of religious belief, authority, and power. I agree with you that McGrath and I’m sure many others are better credentialed than Godfrey and Lataster and Fitzgerald. The question to my mind, is whether the academy, for the reasons I listed, has blind spots that might keep academics from seeing that the emperor has no clothes. That is why I chose to focus this article on how scholars (I’m open to a better word here) approach this and related questions. I don’t see the rebuttal here, but my reply is to Valerie re: the question of what is valid scholarship and all I can say is, Bravo, well said! As a non-scholar (OK, let me boast of my grade 12 accomplishment, just this once!) but life-long “student” of Christianity, in and out of it, I find a lot of academia to be little more than disinformation, however well-meant, using language the rank and file cannot understand, hidden in their tax-supported ivory towers making up their conclusions from dusty reams of leather and cloth-bound manuscripts, mumbling to themselves and their colleagues about the relevance of this accent or that period. Meanwhile there’s a real world out there, being born, living, dying, moved by those who dare step up to the public podium and speak their minds – for better or worse. So many “doctored types” including medical doctors feel we, the general public, owe them a living simply because it cost them a bundle to get their “degrees.” I get my “degrees” from the thermometer and they are more useful to me than those from academia and I don’t need to ask the public to pay for ’em. I too can be blunt. You employ the same sorts of ad hominem attacks that Dr. Carrier deplored from Maurice Casey. Not only do they completely avoid any of the arguments that Messrs. Godfrey and Lataster make, but they seem mean spirited as well. All you offer is an appeal to authority, which they have already explicitly rejected. Can you offer any thing to refute their actual arguments? Your failure to address any of the arguments along with your preference to target the persons is noted, as is your anonymity. I have posted a page of names of contemporary mythicists and mythicist sympathizers or agnostics that tries to be comprehensive: it includes the bizarre whose methods and publications I have criticized as well as the scholarly and professional. You will notice that there are indeed a good number of professional scholars included. Several of these do come from fields outside biblical studies and that fact is an interesting commentary on the claims of those biblical scholars (such as James McGrath) who try to assert that their status as academics proves they deserve to have their views about the historicity of Jesus accepted as “true”. Among the biblical scholars one regularly encounters those of a more critical bent (ranging from those as diverse as Goulder, Avalos and Crossley) lamenting the ideological/faith blinkers that dominate so many aspects of biblical studies. Anecdotally I might also add for the sake of the record that several more names of scholars in biblical studies, the classics, anthropology, history, have expressed their own doubts to me personally about the existence of Jesus and several have scoffed at what they consider the “mickey-mouse” standard of much that passes for scholarship in theology and biblical studies. “…those biblical scholars (such as James McGrath) who try to assert that their status as academics proves they deserve to have their views about the historicity of Jesus accepted as ‘true’.” – Do they? Or do they merely assert that the merits of those views be considered? There is a difference. James McGrath for one has been repeatedly clear and emphatic: just as we accept the consensus of other academic disciplines on the truth of evolution, of physics, etc, so we should have the same deference to the consensus of theologians/bible scholars. He is also on record as having said that if someone raises genuine questions about the historicity of Jesus they will be listened to, but has followed this up with the expectation that once they learn the consensus they will realize the foolishness of their doubts. I should also add that the McGraths and others repeatedly insisted that unless one has qualified in the ancient languages and text-critical studies and proven themselves with peer-reviewed publications they are not qualified to disagree with the consensus on the historicity of Jesus. One wonders if a lay person is not supposed to even be able to comprehend the evidence for Julius Caesar until they have mastered the dating techniques of archaeologists and learned Latin. It strikes me, Neil, as an extension of what you’re saying, that it works the same way on both sides of the equation – if they’re not qualified to DISagree, they would be no more qualified to agree, hence ANY opinion regarding an historical Jesus should be reserved only for the academics, freeing the remainder of us to go about our business, unconcerned. Frankly, I wouldn’t have it any other way. We have the privilege of education and a relatively open society and we would betray both if we gave up our ability and right to hold any authority to account — especially in matters of personal belief that have impacted the lives of millions. Scholars in all fields surely can and should be held publicly accountable and defend their conclusions with evidence. As far as I am aware only biblical scholars appeal to authority when pushed on questions of evidence and method that have been seriously informed by the publications of their peers. I invite you to read my post Can a lay person reasonably evaluate a scholarly argument? A handful of biblical scholars do admit their methods are circular and that there is scarcely a single fact about the life of Jesus that is agreed upon (as a fact) by all scholars — a situation that I believe is unheard of in any other field of historical inquiry. A handful of biblical scholars also admit that their historical methods are unlike anything done in other historical disciplines and that biblical scholars have precious little understanding of how history really does work outside their own field. These voices do entitle us to ask serious questions of the academy and expect replies that go beyond appeals to authority. I’m not endorsing Christ mythicism in reblogging this, nor am I implying that Christ mythicism is mainstream within scholarship; it’s not. I’m reblogging this for future reference, since it lays out the positions. As I recall John’s baptism for repentance was for sinners. It wasn’t a purification for those Jews who were righteous. And I don’t know of any scholars who think the account of John the Baptist was a fairy tale. But let’s assume that Jesus is a fairy tale of a celestial being made up by early Christians (as mythicists claim). It does make sense that they would have him meet and advance beyond the famous John the Baptist figure. But it doesn’t make sense that in Mark they would have Jesus this celestial being come as an unknown sinner and ask to be baptized by John. The story doesn’t fit a celestial being framework. You missed my point but that only goes to show I need to be more disciplined in my responses. My fault, and thank you for making me aware of that. Would you give a second explanation? Mt. 3:13 Then Jesus came from Galilee to the Jordan to be baptised by John. Mt. 3:15 Jesus replied, “Let it be so now; it is proper for us to do this to fulfill all righteousness.” Then John consented. Whether “they” put that in to explain Jesus being baptized though he would not need to is irrelevant to the point being made. The fact is, it’s there, and part of the theology of a huge religious/political machine. There is another place in Scripture where it says, “and he was accounted as a sinner (or, with sinners). For the “tale” to work, Jesus had to be, in some way, a man, i.e., a sinner. Where they screwed up was making him to be born sinless, thus NOT like other men. Had they made him born in the natural way, these later problems would not have arisen, in my opinion. Of course, “they” had to make Jesus at least equal, if not superior, to previous pagan saviours, or man-gods and those were born of virgins, so… the inventors were caught between a rock and a hard place :) When you have to lie to drive a point home, it’s like using a rubber mallet to drive a spike: the mallet bounces back and hits you in the face! The spike doesn’t move. Thank you. My “academia” is my life; I’ve enjoyed it, even if I failed many of my own tests. The big test is approaching for me and I’m eager to find out how many questions I can answer correctly! Since the author has “set aside the hsitorocity of Jesus” then the entirety of Christianity falls apart. There are no supernatural beings and no one lives beyond the grave. If there is no historical Jesus, then there was no resurrection and no reason for redemption from a supernatural deity, negating Genesis. The whole thing is nothing more than a way to subjugate the populace and make con artists rich. You mean it was all just a conspiracy? I don’t believe Jesus really existed, but to me the notion that Christianity was just a fraud perpetrated by the rich and powerful is about as credible as the resurrection. shatara56, Thanks for your extended reply. But thanks for the dialog.
. Religions, at least the massively organized ones, came about as inventions of priests who became a ruling class from their inventions in which they enrolled the people’s gods for legitimacy and control, not the other way around. I think there’s enough history to demonstrate this development. I think that the biblical books from Exodus to Deuteronomy describe clearly how the god YHWH became an organized religion through the Leviticus priesthood invented by Moses. Basically the same for the Buddha. Certainly the same for the Jesus character. The people want their personal gods and the priests, having removed access to these gods by whatever shenanigans, then make them available for a price. Catholicism in which I was raised and immersed is a prime example. The problem is that the gods aren’t real – if they were, there could be no religion, organized or not: it would never be needed. This is what many ex-religious people are trying to re-discover today: their gods, without religion. They’ll have them too, when they learn how to re-invent them properly. For that you need imagination, not easy in this technological age. shatara – a good illustration of what you’re saying, would be the Priestly Source, a group of Aaronid priests, writing in captivity in Babylon in the 500’s BCE – they rewrote, or rather wrote their own Exodus story, in which Aaron, not Moses,, was the hero in many of the scenes, basically justifying their own superiority over the Levite priesthood. That would be much the Shi’ite and Sunni factions of Islam, vying for power today. It was not the earliest Christians who wrote the stories about Jesus meeting John the Baptist. The gospels were produced by a later generation of Christians. I find it interesting and a bit odd that in these debates about the historicity of Jesus no one ever seems to consult the uncensored Babylonian Talmud. Perhaps the most noteworthy passage in this regard is Sanhedrin 43a. Professor Peter Shafer of Princeton University has done a thorough job in his book, “Jesus in the Talmud,” of establishing that the Jesus mentioned here (and elsewhere in the Talmud) is Jesus of Nazareth. Admittedly, the passage is difficult to date but it doesn’t seem possible to date it later than the early part of the third century. The period from which this derives — the Tannaitic, dating from 70 to 200 AD — could mean the passage is earlier. Given the distinction between the Torah She’bich Tav (written tradition) and the the Torah She’beal Peh (oral tradition), the Tannaim must have thought Jesus real and important enough to mention down through the years until writing things down in the Mishnah and Gemara of the uncensored Babylonian Talmud. One can discount Pliny the Elder, ignore Tacitus, and pooh-pooh Ammianus’ description of the fire balls that shot from the foundations of the Temple when Julian the Apostate tried to rebuild it, but what about the mention of Jesus in the Talmud? More myth-making? “Yeshua” was not an uncommon name – Barabbas’ first name was also Yeshua. How can you be certain to which “Yeshua” they were referring? Does Peter Shafer provide any compelling reason to think that the Talmudic writers had any information about Jesus other than what Christians of their acquaintance were saying about Jesus? Prof. Schafer works from a number of original and scholarly texts. The book can be bought on Amazon. The book is not particularly long and anyone interested in the subject would do well to read it and come to their own conclusions. Needless to say, Prof. Schafer is a better advocate for his position than I could ever be since I do not have any of his expertise or qualifications. I will say that, in respect to Yeshua being a common name, if the matter were that simple I’m sure someone in these last 2,000 years — not to mention Prof. Schafer or the Tannaim — would have figured that one out by now. But again, if the topic piques your interest, take a look at his book and see what you think. I don’t know what to make of the Talmud references yet. There are also arguments against Shafer’s interpretations. But even if we accept Shafer’s views, we still have “Jesus” being dated apparently to around 80 BCE, being stoned and only “hung on a tree” after death, having 5 disciples with different names from those in the gospels, etc. It is also arguable that the presentation of Jesus in the Talmud was likely composed as a reaction against Christianity given the way it denigrates Jesus. It is possible that the late Talmud references originated with historical traditions but I know of no way of “proving” that. Isn’t it possible, Neil, that Shafer’s reference was to a different “Yeshua” – that wasn’t an uncommon name. Possible, yes, but someone with more background on this topic might give a different answer. I have read just enough about the different theories to know I would need to do a lot more study to be able to discuss them with any confidence and sensibly evaluate the pros and cons of each. Stephen, I didn’t ask you about Shafer’s sources. I asked what he had to say about sources used by the Talmudic writers. If you don’t remember, I can understand. I don’t remember everything I’ve ever read, either. Doug, it’s been a while since I read the book — which is why I recommend taking a look at it if the topic piques your interest. In a sense, Schafer’s sources are going to be the ones used by the Talmudic writers, too, since that is what he is writing about in the first place. He doesn’t view them necessarily as confirmations of the historical Jesus but as subversive counter narratives to the claims of Christianity. If memory serves me right, he tends to date some of the Talmudic references to a period a bit later than the tannaitic period — I’d have to look that up to see how late. Some date Sanhedrin 43a to the tannaitic period. I don’t have the expertise to say one way or the other. However, there are different places in the Talmud where Jesus is mentioned besides Sanhedrin 43a. I can’t remember what Schafer claimed was the source for them all, if there even was one source. However, in at least a few instances, I believe Schafer claimed it’s likely they were working from an early version of the New Testament but I can’t remember exactly what his account was in this regard. Schafer himself does not claim that Talmudic references to Jesus are historical proof of Jesus’ existence. His objective is understanding the Talmudic response to Jesus. Even so, what is interesting is the fact that the Tannaim (or Amoraim?) thought enough of Jesus to try and create a counter-narrative to that of Christianity. Were they, then, agnostic with regard to the historical reality of Jesus and simply looking for a way to discredit Christianity, the followers of Jesus? This is an interesting question. If they didn’t think Jesus was real why would their counter narrative borrow on bits and pieces of the Christian narrative itself, for example, the virgin birth? Since the vast majority of Christians could be expected not to read the Babylonian Talmud, the audience would presumably be future rabbis — but, if the consensus was that Jesus was a myth or did not exist at all, why not commit that to writing and tradition? In Sanhedrin 43a, the rabbis take responsibility for the death of Jesus, openly declaring it. Jesus is presented as someone who led Israel astray, an enemy of the people. If they didn’t believe he existed, why not just say so and create that kind of counter-narrative instead? Again, Schafer doesn’t really concern himself with these questions. But the story he has to tell casts an interesting light on them. Was there an early oral tradition concerning Jesus that eventually found its way into the Mishnah and Gemara of the Babylonian Talmud? Or, were the Tannaim (or Amoraim) simply reacting to copies they had of the Gospels? If the latter, why did they treat Jesus as if he was a real historical person? Again, their target audience was not Christians but fellow Jews. Prof. Schafer never really considers the possibility that these Talmudic references represent an oral tradition that stems from the time of or shortly after Jesus — how would one prove that? Instead, he argues these references must have been gathered from an exposure to an early form of the Gospels. Again, it’s not clear how one could establish that definitively either. But, what we do have are references to Jesus that take his existence as real — not just the existence of a “movement” that arose somehow in connection to him. A friend of mine claims Bart Ehrman has addressed the Talmudic references somewhere in one of his books but I’ve only read his “Misquoting Jesus” book so I can’t speak to which book it might be in. There are other scholars who have taken Talmudic references to Jesus as evidence of the historical reality of Jesus. I imagine a quick search on the topic would net something. Schafer’s book has the advantage of being fairly recent and not necessarily intended to address the issue one way or the other. I expect I actually would enjoy reading Shafer’s book, but my Amazon wish list already runneth over. For the time being, I’ll have to be content with what I learned from Robert Van Voorst’s Jesus Outside the New Testament, which examines and critiques every known or alleged extra-biblical reference to Jesus. Without exception, according to Van Voorst, they tell us nothing about Jesus that we don’t find in the canonical writings. interesting… makes me wonder if the rabbinical response you mentioned might have been for dealing with their own Ebionites and Elcesaites who of course were early Jewish Christian communities considered “heretical” by the Roman Church. It hard to imagine Jewish leaders being at all concerned with changing or correcting any of the other Roman sanctioned religions that were legion. I’m beginning to think that the Jesus most liberal Xians seek is actually the human condition and what would better the human condition and not the traditional Fundamngelical Jesus. Unfortunately, it is the liberal Xians that Fundamngelicals criticize as much as they do non-theists. Fundamngelics despise Xian humanism as much as they do Secular humanism and every other type of humanism in between. The problem with that is, Fundamngelicals criticize and despise the very essence of what it is to be human, which in the end, gives them more psychological problems and hangups than any other group of people. They can’t see their stories or anyone else’s stories as a means for past tribal groups to teach their brand of tribalism or even their concepts of the human condition, which change and evolve over time, making their stories archaic and dogmatic. Fundamngelicals… yessir, I like that. Trumps my “fuddlementalists” by combining both groups. But seriously, I totally agree with your overall comment. The narrative grammar of the Testimonium Flavianum sets it sharply apart from Josephus’s other stories of the procuratorship of Pontius Pilate. The most likely explanation is that the entire passage is interpolated, presumably by Christians embarrassed at Josephus’s manifest ignorance of the life and death of Jesus. The Jewish Antiquities would in this respect be consistent with the other chronicler of this age, Josephus’s contemporary and rival historian, Justus of Tiberias, who wrote a history of this period that conflicted with Josephus and claimed Josephus’s version to be self-serving. Justus’s work has not survived, but we know from other sources that he wrote in great detail about the exact period of Tiberius’s reign that coincided with Jesus’s ministry – and that he did not mention Jesus.13 Outside the Gospels, there is no independent contemporary (i.e., first century CE) account of these events. The silence of other commentators, and the absence of any mention of the Testimonium by Christian writers for two full centuries after Josephus, even when engaged in fierce polemic about Jesus, are strong indications that the passage was not present in Josephus’s own extraordinarily detailed account of this period. The activities of a religious fanatic who moved around Galilee and Judaea preaching a gospel of peace and salvation, was said to have performed miracles, was followed by crowds of thousands of adoring disciples, and within the space of a few hours invaded the hallowed grounds of the Temple, was hauled up before the Sanhedrin, tried by King Herod, interrogated by Pontius Pilate and crucified, all amid public tumult, made no impression on history-writers of the period. My mind is just boggled, and it doesn’t boggle easily – The Torah was not written by Moses, but rather four disparate groups, the Yahwist, Elohist, Priestly and Deuteronomic, over a 400-year time period, and their versions pieced together like a patchwork quilt, by a Redactor 100-150 years later, often with conflicting versions of the same story; the “flood” was a plagiarization of “The Epic of Gilgamesh,” written 200 years before “Noah” was alleged to have existed; the Book of Daniel, with all of it’s prophecies, purportedly written in 600 BCE, was actually written in 164 BCE, after the prophesied events had already happened; the Gospels were written by anonymous authors, 45-75 years after the events were alleged to have occurred; the famous “Jesus and the Adulteress” story wasn’t even added until 450 CE and was plagiarized from the story of “Susanna” in the book of Daniel – yet not only do people still believe this book, many, if not most, will tell you it’s inerrant! At least I understand why my mind is boggled. Great illustrative list. I get embarrassed that some of my siblings still believe this. They are intelligent and decent people with the privileges of education and internet access. And yet they lack the freedom of mind and the compassion or perspective-taking capacity that would let them see through the self-serving web of falsehoods we were raised on. Just a small point regarding Jim Jones and his “line to God.” I’ve read quite a bit about the Peoples Temple, and it seems unclear as to whether Jones was still even espousing theism by the time of the mass deaths in Guyana.